Welcome to the second installment of my 50th anniversary Mustang celebration. 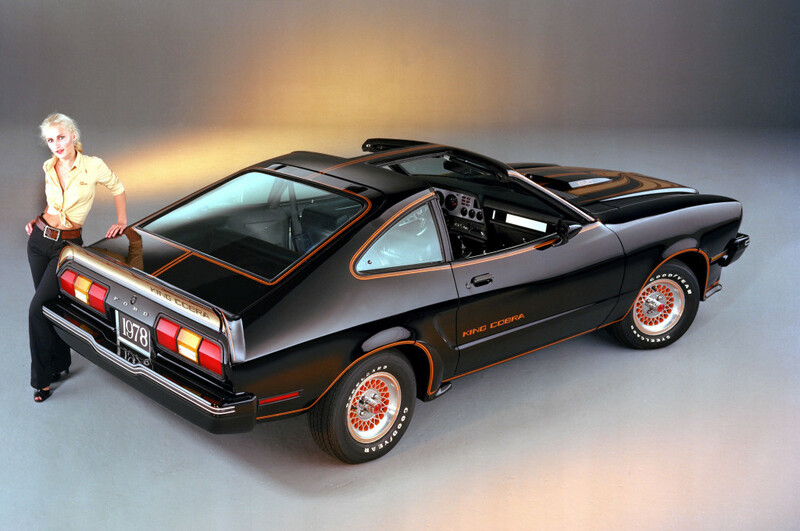 This time I’m highlighting my favorite Mustangs from the beginning up through the late 70s. Admittedly, I’ve always loved the early Mustangs and the first Fastbacks the most, but it wasn’t until compiling this list that I realized the late 60s produced some of my favorite ‘Stangs. I suppose this is due in large part to the fact that the majority of Mustangs at car shows aren’t factory specials and in that case, if we’re talking plain Jane Mustangs, I like the early Ponies the best. But if we’re talking my top Mustangs, it’s certainly going to be special edition cars and in that case, 1969 was a strong year! So these are my top picks from the past, but how about you? 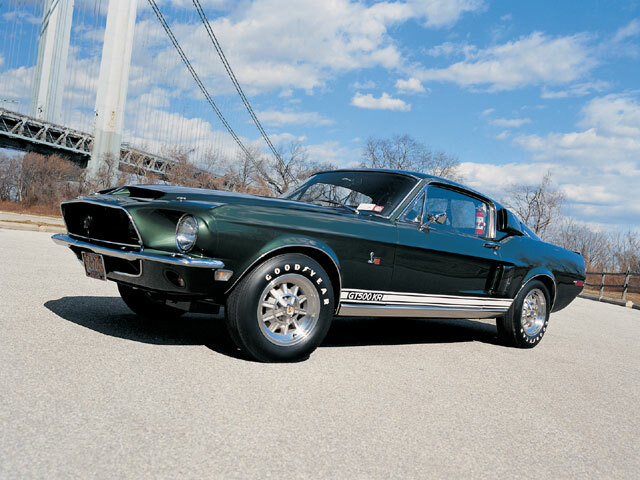 What are your favorite Mustangs from the past 50 years and why? Also, if you own one of these rare rides, please send us some photos and a short story, we’d love to share your Mustang and its story here on The Burnout. 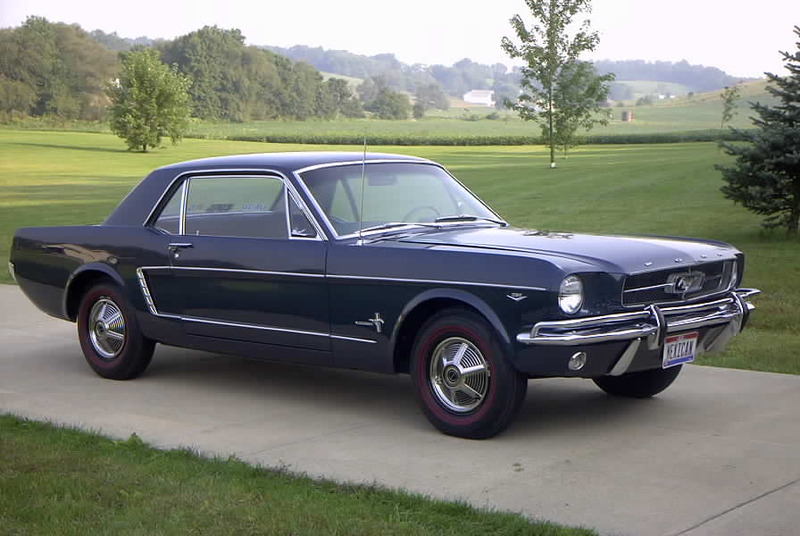 OK, so it’s actually a 1965 model, but the world received the very first Mustang with open arms–22,000 people bought one on opening weekend. That trend continued, as nearly 122,000 Mustangs were sold that year. The sporty car appealed to the masses with great styling, multiple body styles (coupe and convertible) along with four different motors, like the 271hp 289 V8, all for a bargain basement price of $2368. The dirt cheap price of admission plus a capable chassis with a competent small-block V8 meant performance enthusiasts were quick to take to the Mustang and soon found a ton of go-fast support from the aftermarket. The original Mustang might have been more GT than muscle car, but Carroll Shelby took that notion and threw it out the window with the advent of the GT350. 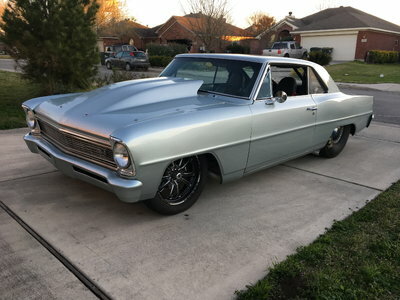 His creation was one part muscle car and one parts sports car, thanks to a 306hp pumped-up 289 engine with a high-riser intake manifold, tubular heads, a four-speed manual gearbox and a limited-slip differential. All this power was harnessed with upgraded suspension components like adjustable shocks, sway bars and low-profile Goodyear tires that made this Mustang a world-class handler. The KR (King of the Road) was a hopped up ’68 GT500, with the Cobra Jet 428-cubic-inch engine in place of the Police Interceptor spec 428. The standard GT500 was conservatively rated at 360hp and the KR was a joke with a rating of 335hp–in actuality; they were just over 400hp with 440 lb-ft of twist. Outside you’ll find plenty of vents and scoops along with a fiberglass hood and trunk. Underneath you’ll find a strut-brace, wider rear drums and shoes, heavy-duty suspension components, power brakes and steering and inside the cockpit there’s an 8000-rpm tachometer, a 140mph speedometer and a roll bar. 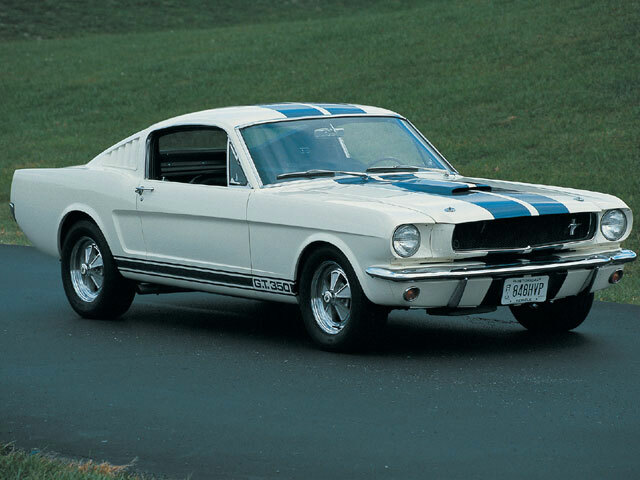 By ’68 the Shelby Mustang had grown in size and lost much of the nimbleness the early cars were known for. But what Ford gave up in the corners was more than made up for on the straights. 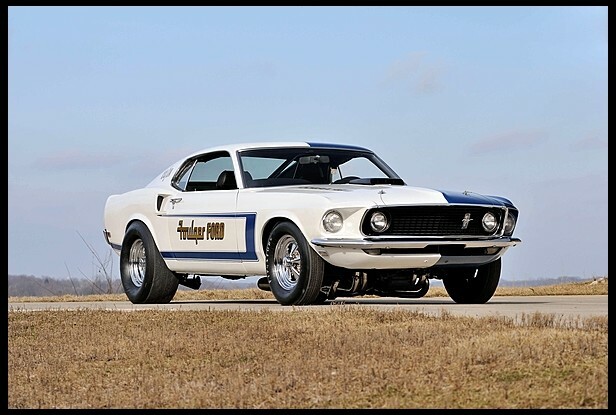 A new body style got an injection of attitude in 1969 and the Boss 302 brought back the real American sports car title just as the GT350 had before it. 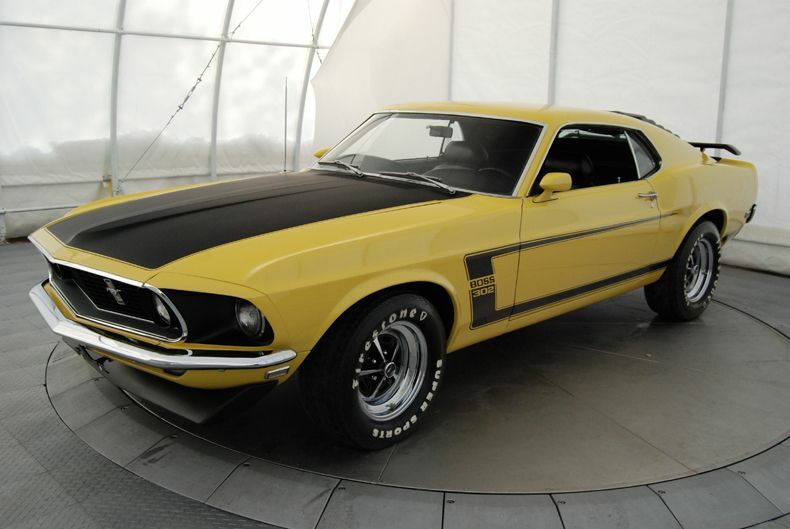 The Boss 302 was created in response to the Trans-Am racing series Camaros from years prior and this factory-built corner carver featured exterior body accessory deletes, plenty of suspension and brake upgrades, and reinforced shock towers from the factory. But it was the small displacement, high-rpm 302-cubic inch motor that really wowed the industry. This little revver used a tunnel port Windsor block with big Cleveland-style heads with huge valves that were tickled by a large solid-roller cam. It was rated at just 290hp, but was later shown to spin out roughly 380hp. 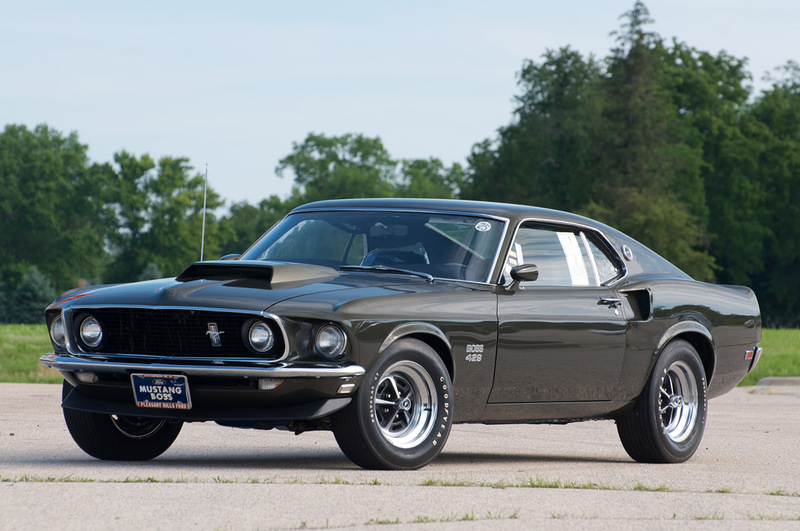 The real bad-dog of 1969 was the almighty Boss 429 with a monstrous 429 cubic inch semi-hemi headed motor. Few examples were produced and the big-headed beast might have been rated at 375hp and 450 lb-ft, but actual numbers rang in at over 500hp with ease. These beastly motors were so big that Ford had to make significant modifications to the engine bay to shoehorn them in place, like widening the shock towers and extending out the inner fenders along with chopped and displaced suspension components along with the battery being relocated to the trunk along with a big rear sway bar to combat all that front-end weight. 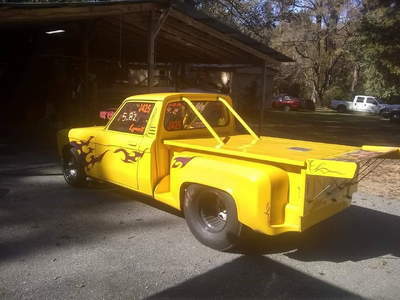 These were bare bones brawlers with big motors that were just ripe for burning rubber and taking names. 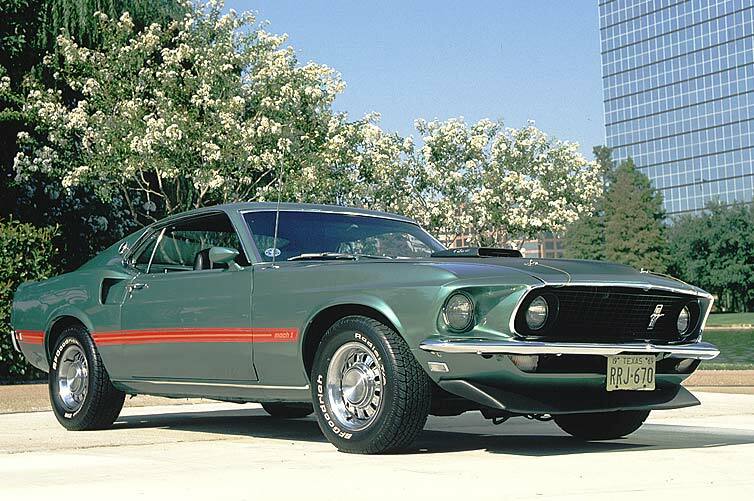 The Mach-1 took the Sportsroof body style and combined it with a special blend of performance and aesthetic upgrades to create what some consider to be the ultimate Mustang, especially the matte black body pieces, the hood scoop and pins and the optional shaker hood. 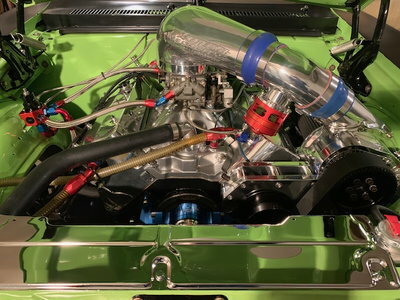 The venerable 351 4V motor with it’s four-valve carburetor could be optioned up with a bigger 390 or 428, but it was the 351 that really appealed to the younger demographic FoMoCo wanted to hit. The pumped-up 351 was rated at 300hp and 385 lb-ft and it forever inked itself a spot in Mustang history. 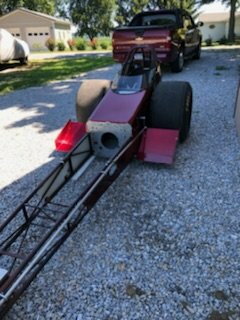 OK, so this one is stretching it a bit since it wasn’t exactly a car available to the public, but the Factory Sponsored R-model Cobra drag racers are simply stunning. They featured the venerable 425hp 428 Cobra Jet engines, steep rear gears, close ratio T-10 boxes, heavy-duty suspension and plenty of other factory goodies. 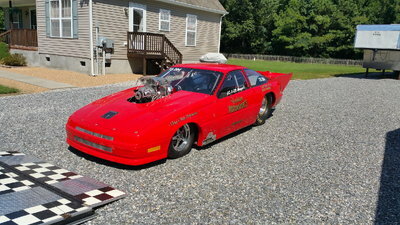 But the race teams took that further by swapping in automatic transmissions, Lakewood traction bars, Hurst/Lakewood drag shocks, Crager SS wheels, Doug Thorley 180-degree headers and sticky drag tires that helped these factory sponsored drag racers ran mid 11s in the high 120 mph range. 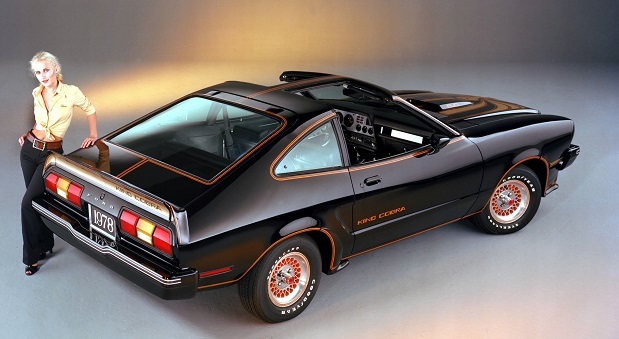 Some of you might kill me for this, but I consider the ’78 Mustang King Cobra one of my top classic Mustangs. OK, so it was hardly a potent Pony, but for the times it was still capable and it’s 70s cool to the max! Just look at those body lines and cool Cobra graphics! Sure, it only made 139hp from its 302 cubic inch V8, but it had corner carving suspension that made it handle with the best of them back in the late 70s and while it might have been a lower point for the Pony, it was strong enough to carry the nameplate through some difficult times that killed off lesser examples like the Chevelle, Malibu and other legends from the past.